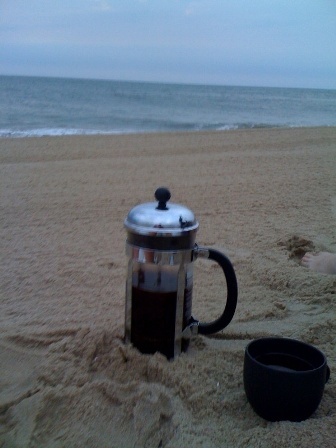 (pic) Sunrise, beach, press pot of Costa Rica Helsar – sweeeet, spice of cinnamon and cloves, orange zest, marzapan. When I cupped this coffee back in May during a visit to Verve, I thought to myself, “this coffee is the perfect beach coffee”and it didn’t disappoint. 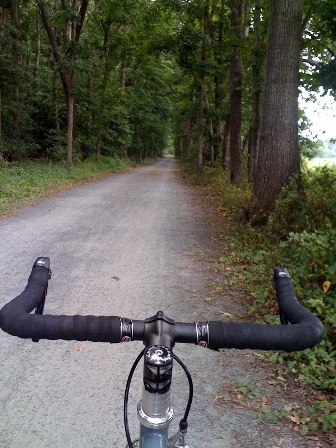 (pic) Bike trip from Reboboth – Lewes – Cape Henlopen and back – rad ride. Rehoboth Beach has bike lanes everywhere!